My One Web Solution strives to provide web sites which are designed the way our clients want them; clean, crisp, informative and fast-loading, so that the presentation of information and design are displayed immediately. Whether you are selling products online, or simply want to provide information to a large audience, My One Web Solution will create a unique solution the way YOU want it. 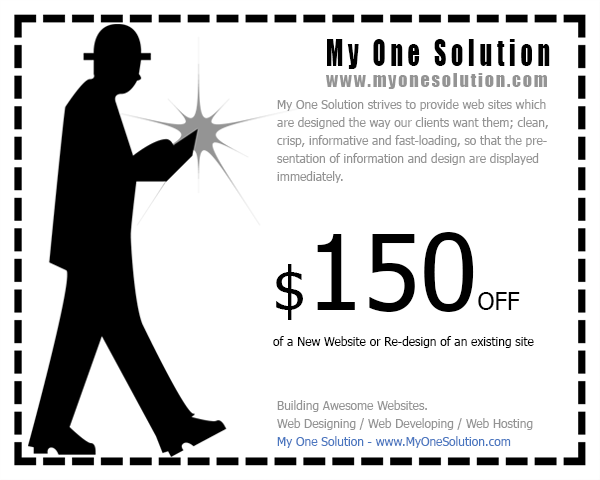 Does your Web site need a new look? Or are you simply in need of some updates and small changes? Contact us and we'll be happy to go over your new ideas and changes with you.